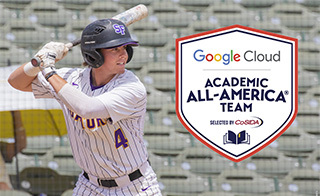 San Francisco State baseball player Jackson Kritsch has been named to the 2018 Google Cloud Academic All-America® Division II Baseball Second Team, as selected by the College Sports Information Directors of America (CoSIDA). After earning 2018 Google Cloud Academic All-District® Baseball First Team honors, Kritsch advanced to the national ballot. The sophomore infielder was just the second Gator to earn Academic All-District® status. 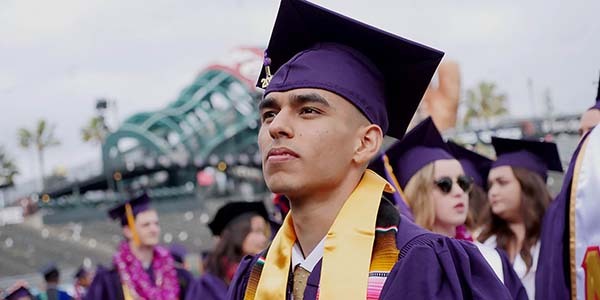 In 2014, infielder Danny Souza became the first San Francisco State player to be named Academic All-District®, then sponsored by Capital One. Kritsch's sophomore season has been as historic as the season that he helped headline. The 2018 Gators made history on the final day of the season by punching their ticket to their first-ever CCAA Championships appearance under third-year Head Coach Tony Schifano. Personally, Kritsch was named to the ABCA/Rawlings NCAA Division II All-West Region Second Team and to the D2CCA NCAA Division II All-West Region Second Team. The All-CCAA Second Team selection hit a team-best .371 and led the team with 75 hits, 45 runs, and 10 stolen bases. His 50 appearances and 49 starts were second most on the team. The accounting major not only excels on the field but also in the classroom, where he boasts a 3.96 cumulative grade point average, and was also named the CCAA Championships Scholar. Twenty of the 33 members of the 2018 CoSIDA Academic All-America® Division II Baseball teams have at least a 3.90 GPA, with nine student-athletes maintaining a perfect 4.00 GPA. The 11 members of the first team have an average GPA of 3.88. The Division II Google Cloud Academic All-America® program is partially financially supported by the NCAA Division II national governance structures, to assist CoSIDA with handling the awards fulfillment aspects for the 2017-18 Division II Academic All-America® teams.